All programs are free to the public unless otherwise noted. The perfect place for fun and learning! 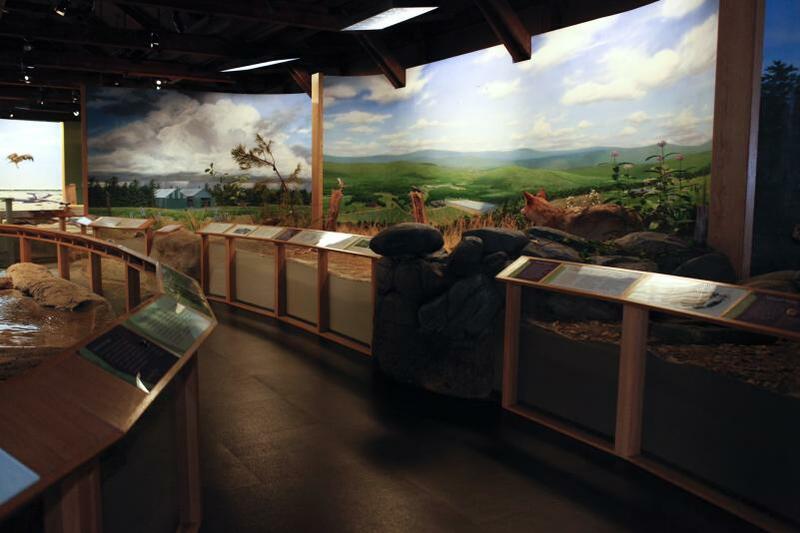 The Great Falls Discovery Center interprets the natural, cultural and industrial history of the Connecticut River Watershed. Housed on four beautiful acres of native plants and open lawn, the Center includes diorama displays, open habitat exhibits, fish tanks, and a multipurpose program room. The charming Great Hall was a former machine shop. Completely renovated in 2003 the Great Hall now regularly hosts art exhibits, educational programs and the monthly live-music performances. Programs and Coffeehouse musical performances are listed on the Center's event calendar. For more information visit their website. Wildlife exhibitions inside the Great Falls Discovery Center. Photo Sarah Crosby.